A fresh study has explored the effect of furosemide on an important enzyme involved in blood pressure regulation. 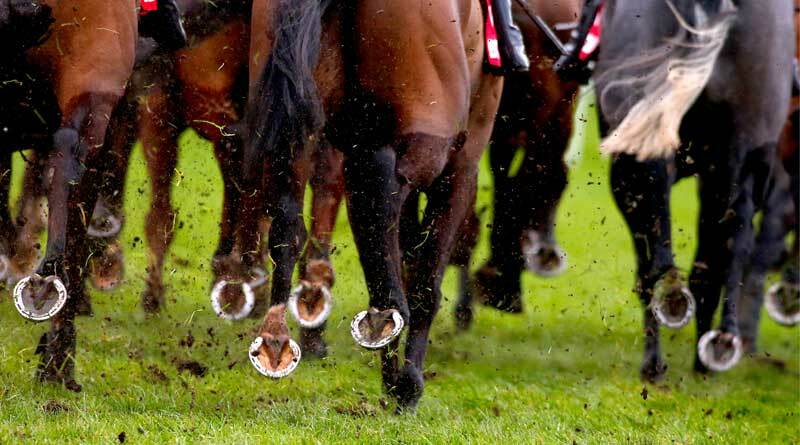 The drug furosemide, commonly used on race day in the US, has been found to affect levels of an important enzyme, which may explain why it can reduce the severity of lung bleeding in horses. The condition, known as exercise induced pulmonary haemorrhage (EIPH), affects a significant number of racehorses during strenuous exercise. Furosemide is a powerful diuretic which has been scientifically shown to reduce the severity of EIPH. It is commonly given to racehorses in the US on race-day for this reason. However, being a diuretic, horses given the drug also shed a large amount of water and can race up to 25 pounds lighter. Supporters say furosemide protects the health of horses. Opponents say that permitting the drug’s raceday use is damaging the sport’s reputation and does not provide a level playing field. Maria Fernanda de Mello Costa and her colleagues, writing in the journal Comparative Exercise Physiology, noted that EIPH continued to be at the centre of questions around animal welfare. The way in which furosemide worked to reduce the severity of EIPH had not been completely explained and no effective treatment had been identified, they noted. In their research, the scientists investigated the potential effects of furosemide on the angiotensin-converting enzyme (ACE). The enzyme is a powerful constrictor of blood vessels, playing a role in blood pressure regulation. Therefore, reducing its activity could potentially decrease blood pressure and the risks of EIPH. Their study centered on 73 horses who competed on eight official race days at Gávea Racetrack in Brazil. The horses had their lungs examined with an endoscope after their races, and also had blood samples collected for analysis. They were grouped into those who received furosemide (47) and those who did not (23). ACE levels were measured, revealing that horses medicated with furosemide had lower circulating ACE activity following their races, which might explain the protective effect of furosemide on EIPH, the authors reported. Their research also showed that distance raced, temperature, humidity, and haematocrit levels did not have an effect on ACE levels. Horses medicated with pre-race furosemide still showed some degree of bleeding after racing and were actually at higher risk of presenting with EIPH than non-medicated horses, the study team reported. It was found that 36.2% of the non-medicated horses showed some post-race lung bleeding, compared with 76.9% of those who received furosemide. “Furosemide might reduce EIPH severity after a single bout of exercise, but it does not abolish or reduce its occurrence,” they said. The researchers said their findings opened up potential pathways for future investigation of EIPH treatment options. The study team comprised Maria Fernanda de Mello Costa, Fernanda Aparecida Ronchi, Yoonsuh Jung, A. Ivanow, Juliana Braga, M.T. Ramos, Dulce Elena Casarini; and Ronald Slocombe.